Pat has extensive experience in public relations, marketing, strategic planning and crisis communications, particularly in the areas of healthcare, education and community nonprofits. Accredited in Public Relations, she has worked for both large and small organizations in Vermont, New York and Florida and has served as Adjunct Faculty at several colleges and universities. 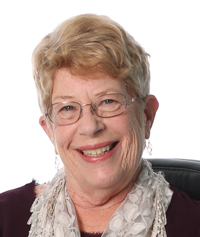 A past President of the Treasure Coast chapter of the Florida Public Relations Association and a recipient of the Communicator of the Year Award, Pat still gets excited at the prospect of helping businesses and organizations communicate to and with their stakeholders. Pat has a Bachelor of Arts in English from Marywood College in Scranton, Pennsylvania and a Master of Arts in English from Southern Illinois University, Carbondale, Illinois.